Fasting is a documentary on the original human diet. Fasting may serve as the solution to solve our epidemic of chronic illnesses today. 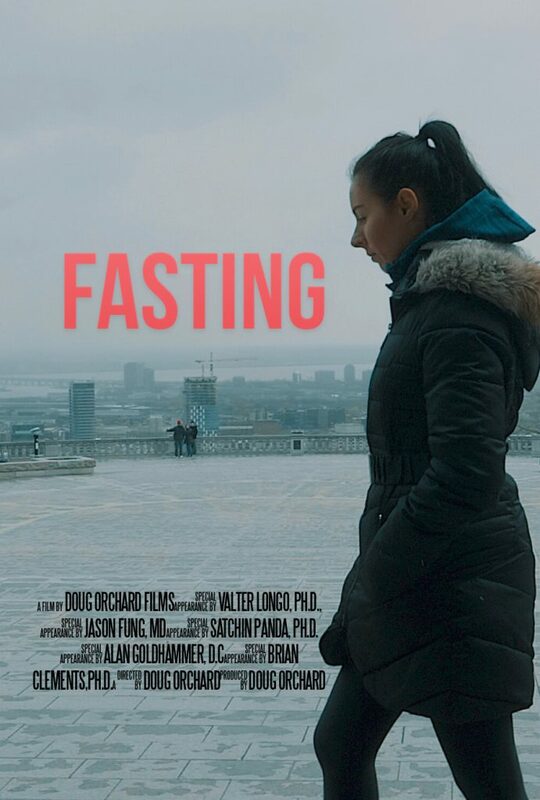 However, most think of only one method of fasting when they hear the term ‘fasting.’ This documentary explores 7 different methods of fasting including Time-Restricted Feeding, Intermittent & Prolonged Fasting, Long-Term Water Fasting, Religious Fasting, Eating Disorders, Improvising or Fasting Unsafely, Fasting Mimicking Diet, and Juice Fasting. The film interviews 54 people including the world’s leading scientists and medical professionals on fasting, as well as individuals who used fasting to treat obesity, diabetes, cancer, cardiovascular problems, skin problems, high blood pressure, chronic headaches, joint pain, and many others. This one hour, forty minute feature motion picture is the most comprehensive and objective look at fasting on film.